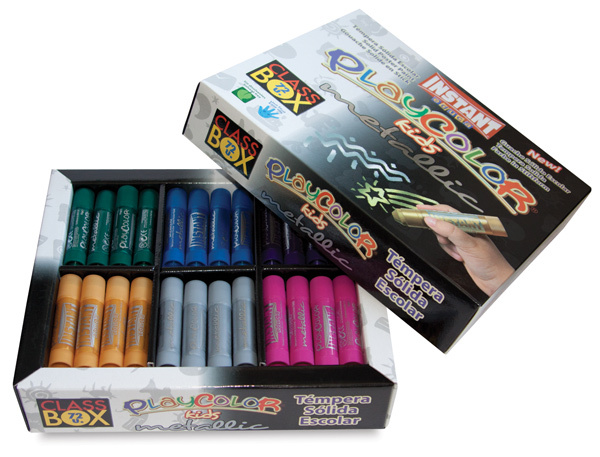 Simple to use, with no water, paintbrushes, or cups required, Playcolor solid tempera paint sticks are great for painting on paper, cardboard, wood, and more. Just uncap, twist, and paint! This set includes 12 each of Silver, Gold, Pink, Blue, Purple, and Green standard size sticks. ® Playcolor is a registered trademark.